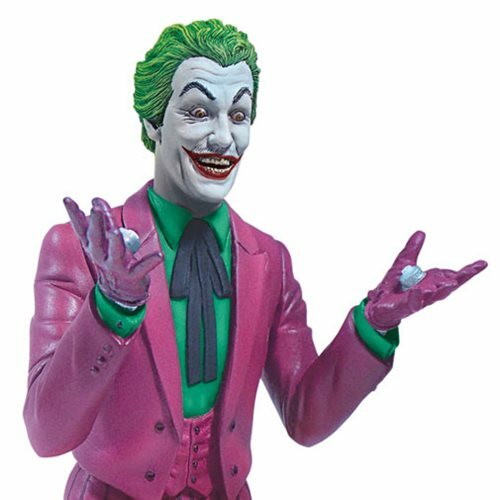 Moebius Models' styrene kit of THE JOKER features a striking likeness of the diabolical Clown Prince of Crime as seen in the Batman Classic TV Series! 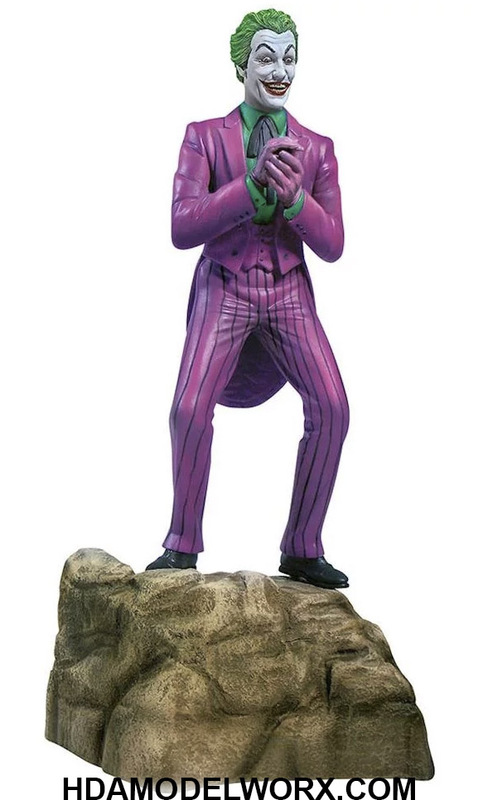 This model kit includes parts for optional arm and hand poses, as well as a Batcave rock display base. 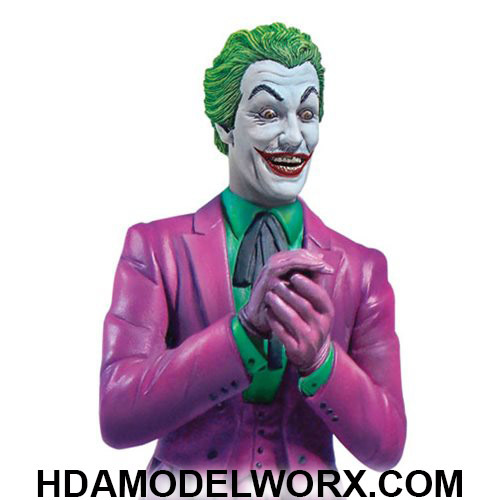 The kit is 11" tall fully assembled, kit includes name plate and instructions. Skill level 3, ages 15 and up.